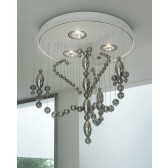 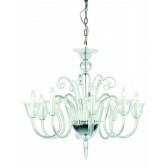 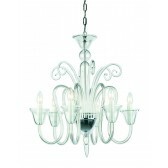 The crystal glass chandelier design is a part of the Saskia range from the luxury collection by Impex. 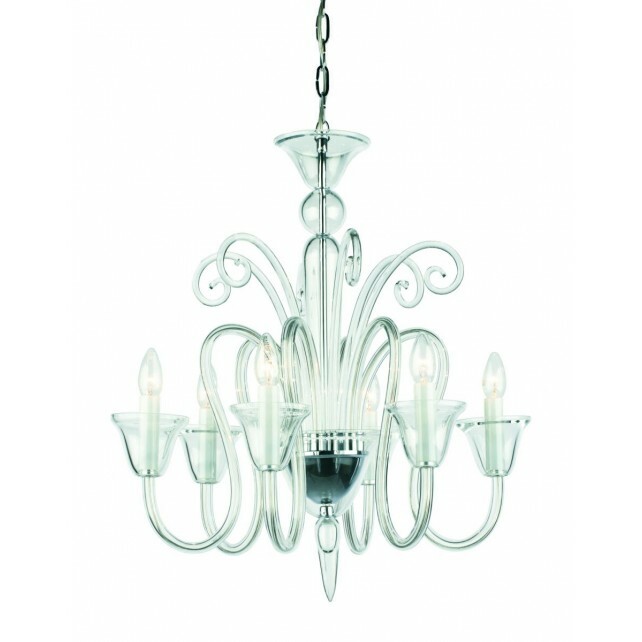 Showing clear, transparent glass with a chrome fitting. 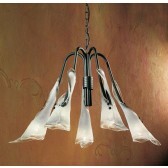 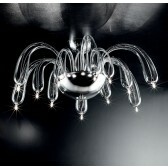 The 6 light features 6 curving arms, each holding a lamp. 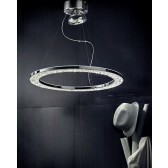 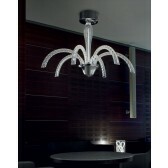 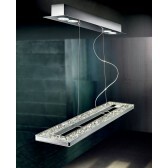 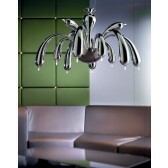 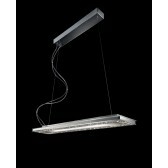 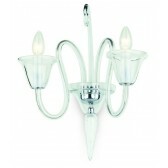 Also available in the 8 light and matching wall light. 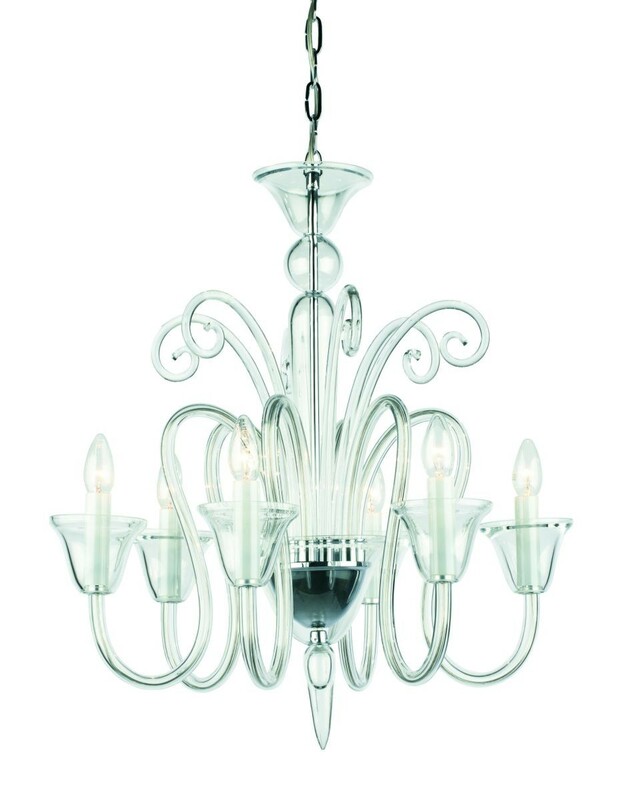 Make this light a lovely addition to your indoor lighting plan, either as a centrepiece in your living room area or in just about any room of your choice.